Erik Palmer was our guest speaker for the October 1 K-12 Literacy Summit. If you didn't get a chance to be with us that day, the important work Erik is doing seems to be everywhere now! 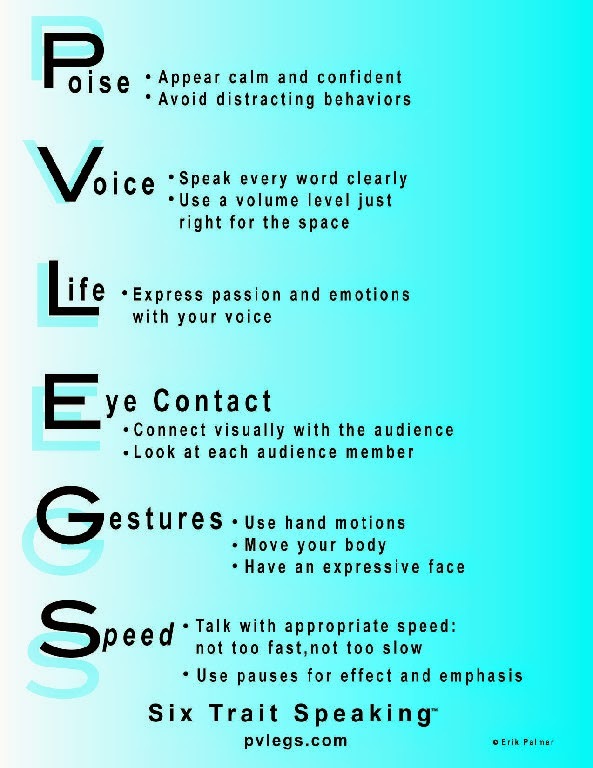 His PVLEGS framework for speaking and listening can be seen here, but is also explained in this recent ASCD article, "Now Presenting." Erik's framework is based upon his years on a debate team, working on the stock exchange, and over 20 years in the classroom. You'll find the framework easy to implement into something you and your students are already doing in the classroom- speaking and listening! Encourage parents to write with their children. By creating and telling a story, children learn to organize their thoughts and use written language to communicate with readers in a variety of ways. Writing stories also helps children better read, and understand, stories written by other people. But as much fun as it can be, writing a story can also seem like a challenge to a child (or an adult!). By familiarizing a child with how authors create stories and what the different parts of a story are, introducing visual or written prompts that inspire him or her to think of story ideas, and encouraging him or her to plan before starting to write, you’ll help the child make a complete and imaginative story. Take a look at this ReadWriteThink lesson to share with parents. Finding effective ways to teach today’s student population is perhaps the greatest challenge facing literacy educators in the United States. As classrooms become increasingly diverse, educators struggle to find curricula and pedagogical strategies that are inclusive and affirmative yet facilitate the development of academic and critical literacies. Much of the multicultural education literature has limited conceptions of culture as a racial or ethnic identity. Teachers have little help on creating learning communities in multiethnic classrooms (Mc,Carthy, 1998). Join Dr. Morrell to learn about new approaches for critical reading of popular culture to help all students deconstruct dominant narratives in the teaching of literacy. Writing in the World Language Classroom: Where there are words, there is magic! Writing in another language involves much more than translating and completing homework assignments from the text. 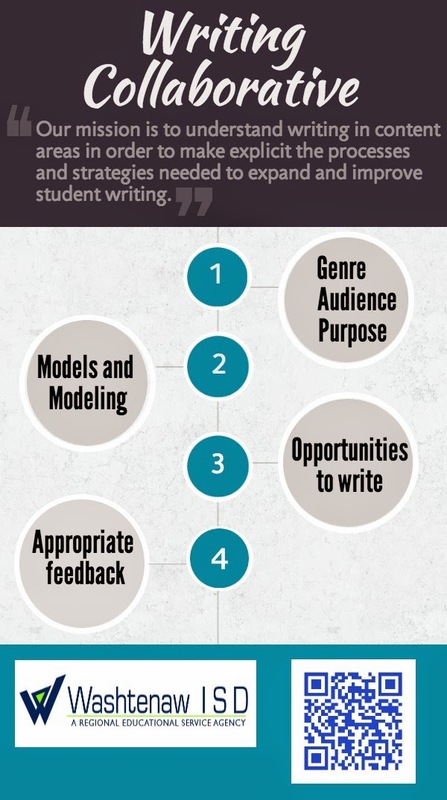 Writing is a powerful skill through which students express themselves in the new language. 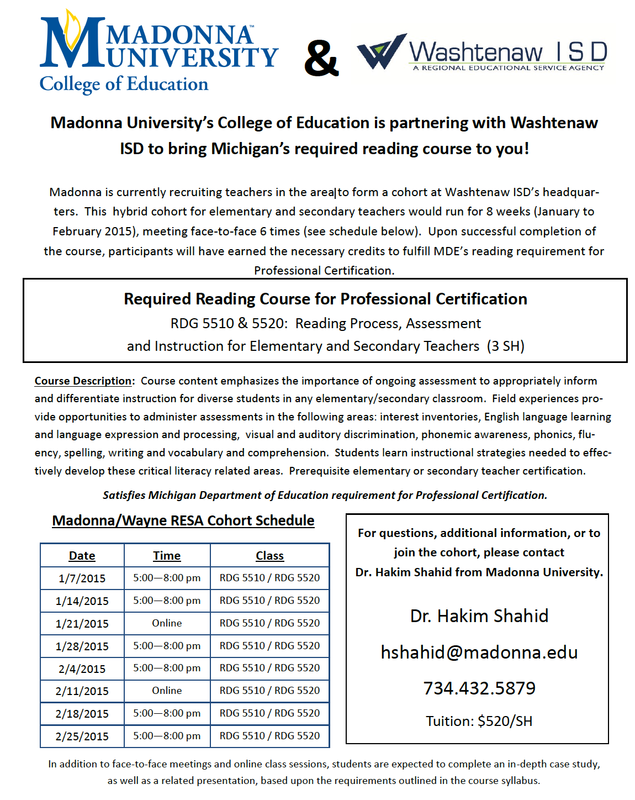 This workshop addresses the national and state standards for written communication, compares those standards with common core expectations for writing, and explores a variety of real-world writing tasks and strategies at the word, phrase, sentence and paragraph level across a range of proficiency levels. 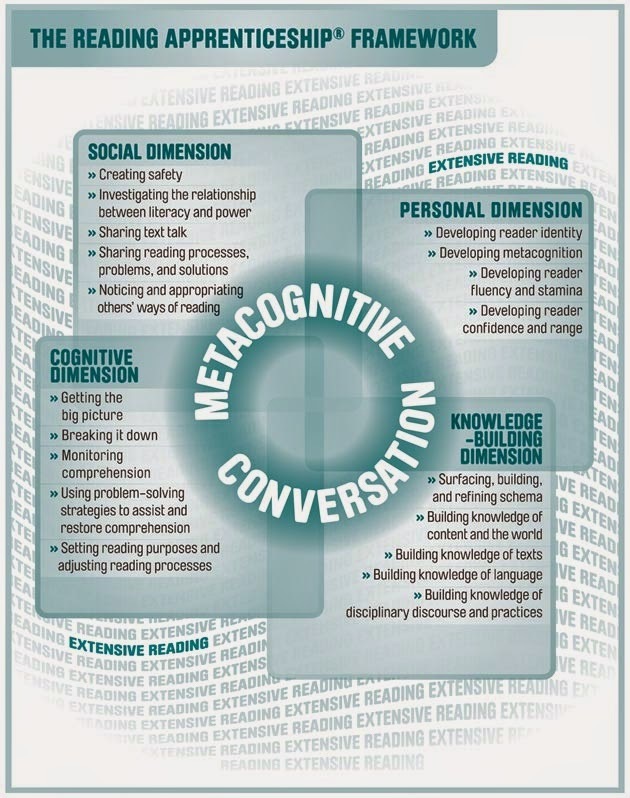 How is disciplinary literacy different than content area literacy? Taking action to become a teacher leader by engaging others in disciplinary literacy practices. Consider attending our Writing Collaborative and Reading Apprenticeship trainings if you haven't already (described below). Already trained in RA and WC? Then contact me to learn more about monthly meetings to support disciplinary writing with Writing Collaborative and disciplinary reading with Reading Apprenticeship. In our first meeting of the school year we reviewed our learning from our first year, and planned for our action research this year with Dr. Cathy Fleischer from EMU. We are working on implementing best practices in early literacy around vocabulary, inquiry and collaboration, classroom culture, integration and assessment. Dr. Elizabeth Moje from the UM visited our group to discuss disciplinary literacy. Dr. Moje reinforced the importance of how "developing navigational skills (in disciplinary reading) allows for literate, educated citizens." Dr. Troy Hicks from CMU visited our group to share his new book Crafting Digital Writing with us and kick off our year of study around this text. By looking at the MAPS- Mode, Media, Audience, Purpose and situation we can think about how best to approach 21st century writing. Our notes, with links to tools, can be seen on Troy's Wikispace. Many states have changed standards to increase emphasis on the most important language art: speaking. This presentation centers on the art of effective oral communication. Speaking skills are broken into manageable, teachable parts to speak well in a variety of settings. Participants will come away with an understanding of the elements of successful speaking. Drawing upon twenty years of success, the ideas presented will change how participants think about speaking. Whether the goal is improved class discussions, improved formal speeches, or improved one on one communication, this presentation will give teachers a new framework to improve student speaking in the classroom and beyond. Existing literacy networks at WISD, Study of Early Literacy (SOEL) Reading Apprenticeship (RA), and Writing Collaborative (WC), each focus on particular elements of literacy instruction and grade levels. 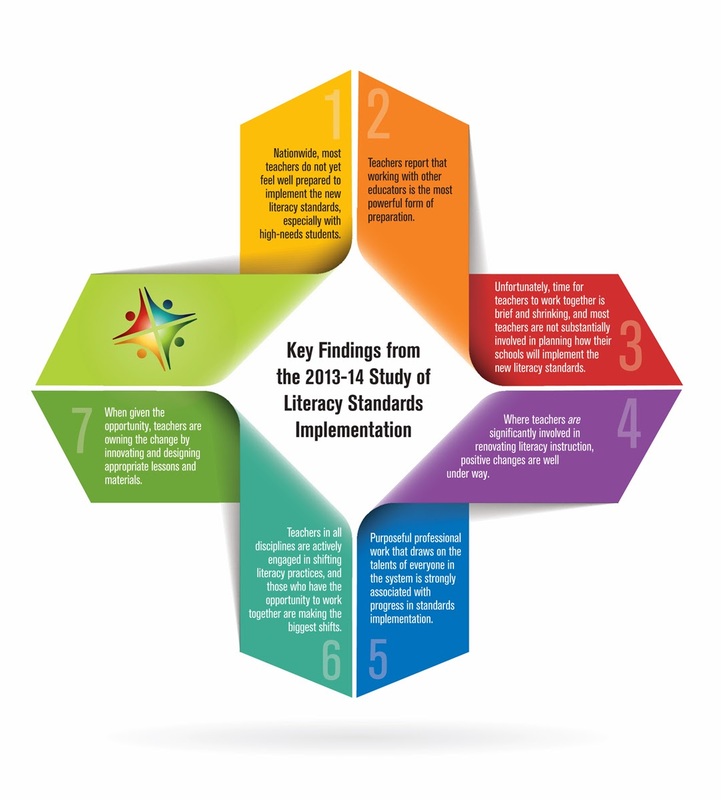 However, the literacy umbrella is wide, and often topics arise that are of interest and importance to teachers of all subject areas and grade levels. Socially and Culturally Relevant Literacy: January 21, 2015 with Dr. Ernest Morrell of Columbia University. for all grades and all subjects! Bring TED to your classroom with TED-Ed Clubs! TED-Ed Clubs is a flexible, school-based program that supports students in discussing, pursuing and presenting their big ideas in the form of short TED-style talks. Watch the video or check the site to learn more. Books for Back to School! Reading about going back to school is a great way to ease the transition. No matter what age, read alouds can get you and your students back into the school mindset. The Berenstain Bears Go to School. Berenstain, Stan and Jan. Random House, 1978. Arthur's Teacher Trouble. Brown, Marc. Trumpet, 1986. Clifford's First School Day. Bridwell, Norman. Scholastic, 1999. Never Spit on Your Shoes. Cazet, Denys. Scholastic, 1993. Get Ready for Second Grade, Amber Brown. Danziger, Paula. Puffin, 2003. Kindergarten Rocks! Davis, Katie. Harcourt Children's Books, 2005. Back to School for Rotten Ralph. Gantos, Jack. HarperTrophy, 2000. Back to School with Betsy. Haywood, Carolyn. Odyssey Classics, reissue edition, 1990. Chrysanthemum. Henkes, Kevin. HarperTrophy, 1996. The Day the Teacher Went Bananas. Howe, James. Penguin, 1987. It's Back to School We Go! Jackson, Ellen. Millbrook Press, 2003. Sumi's First Day of School Ever. Pak, Soyung. Penguin Putnam Books, 2003. Amelia Bedelia Goes Back to School. Parish, Herman. Harper Festival, 2004. Curious George Goes to School. Rey, Margret. Houghton Mifflin, 1989. The Best School Year Ever. Robinson, Barbara. HarperTrophy, reprint edition, 2005. Miss Bindergarten Gets Ready for Kindergarten. Slate, Joseph. Puffin Books, 2001. The Teacher from the Black Lagoon. Thaler, Mike. Scholastic Paperbacks, 1989. The Night Before Kindergarten. Wing, Natasha. Grosset & Dunlap, 2001. The Middle School Survival Guide : How to Survive from the Day Elementary School Ends until the Second High School Begins. Erlbach,Arlene. Walker Books for Young Readers, 2003. High School Bound: The Ultimate Guide for High School Success and Survival. Spethman, Martin J. and Klein, Chuck. Westgate Publishing & Entertainment, 1997. The Real High School Handbook : How to Survive, Thrive, and Prepare for What's Next. Lieberman,Susan Abel. Mariner Books, 1997. If you are an active member of a literacy network (RA, WC or SOEL), or an administrator who supports a teacher in one of these networks, you are invited to PRE-REGISTER for this event. * This fall, remaining spots will be opened to those outside the networks for a small fee. **Registration info. to come as WISD installs a new system. 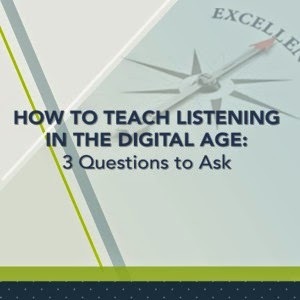 Knowing that speaking and listening are important literacy skills, but often not incorporated into curriculum, Erik Palmer, consultant with ASCD, developed a media literacy unit entitled "Listening in the Digital Age." Erik answers questions such as Who teaches students to evaluate sound? Who teaches students to evaluate images? Who teaches students to evaluate video? Read Erik's whole article here. He will be coming to WISD on October 1st for a workshop on his speaking and listening framework for the K-12 classroom! (more info. to come this fall). Students need to be able to critically think about increasingly complex texts and to read across informational and literary texts. Building strong text sets can be one way of supporting teachers in providing the necessary reading experiences. A text set is a group of books used to build background knowledge and common vocabulary around a theme or topic. In the text set an anchor book is used as the focus of a unit or lesson and a series of additional information at various reading levels is strategically chosen to support the anchor text. The materials available at the Library of Michigan MDE site explain how the sets can be created and used. You will also find text sets listed here in this growing resource site. These are useful for communicating, collaborating, note-taking and annotating. Pocket helps manage your readings. If you get numerous online reading suggestions per day or week, this is a great tool to manage them and keep them all in one place. It has a "night" function that dims the screen. GroupMe allows you set up a private group for text messaging. A class could have its own GroupMe discussion space, and then students can send each other reminders, ask each other questions, etc. This tool allows the class to communicate with each other inside and outside of classroom hours, and the students can go to each other for help. Works on phones, mobile devices like iPads or iPods, and computers, so students don't need a smart phone. Remind101 allows you to send texts to students without seeing each other's phone numbers. Several teachers use this one to send reminders like "First draft due tomorrow, and don't forget the Works Cited page." Evernote is more of a "one-stop-shopping" app. It lets you manage notes, images, readings, and more all in one place. It has a free level and then for pay you get additional capabilities. Subtext Subtext is a digital reading program built for K12 classrooms. Read and collaborate with your classroom for free by creating private groups, embedding discussion, finding content, researching, annotating and more. *Thanks to RCWP teachers and Chelsea Writing Collaborative teachers for sharing! Writing Collaborative Teacher Workshop at WISD- Secondary writing instruction in all content areas. Inkstains- A summer writing camp for middle and high school students- located at EMU. Picture it! Visual Thinking Strategies- Literacy Conference for K-12 teachers- located at the DIA. Read what literacy consultant Franki Sibberson suggests for some thoughtful literacy activities for the end of the school year and some non-fiction, picture books, YA novels and inspirational texts for all readers this summer. Books to get us ready for summer vacation!